On Bake Off this week, it was pastry week. I will admit I cheated a bit on this bake – I made it before GBBO aired Wednesday night and I didn’t make my own pastry. In my defence, I normally bake on a Thursday evening but this week I went to see McFly instead. 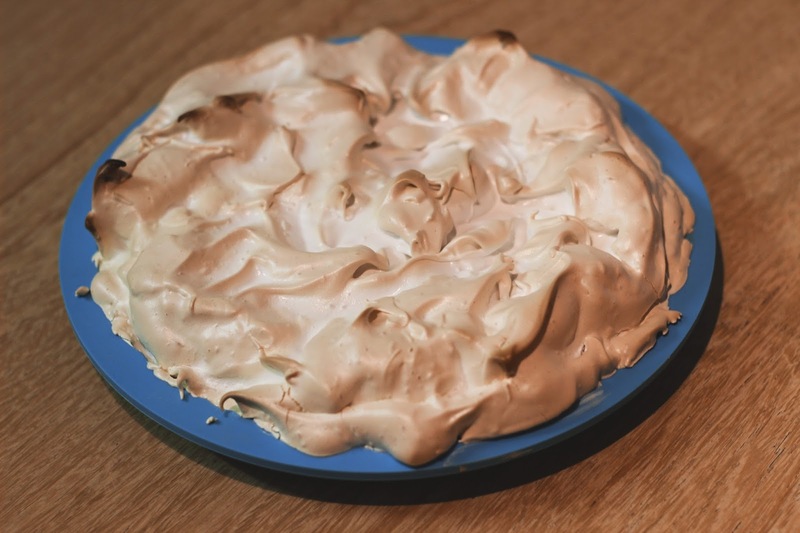 I also therefore didn’t realise that they’re actually making Lemon Meringue Pie on Bake Off next week! It didn’t go amazingly though, my pastry shrunk and didn’t taste great, so I’d definitely recommend you making your own. 1. Preheat the oven to Gas Mark 6/200. 2. Roll out pastry block and use to line flan tin. Cover with baking paper and baking beans and bake for 10-15 minutes. 3. Beat together the 3 egg yolks with the 2 whole eggs, 150g caster sugar, lemon juice and rind. Place in pan and heat gently stirring continuously. When warm but not boiled, gradually add the butter, stirring throughout. Allow the mixture to just start to thicken then remove from the heat. 4. Once the pastry is baked, remove from the oven and pour the lemon mixture into the case. Reduce the oven temperature to Gas Mark 5/190 and return to the oven for 8-10 minutes. Remove from the oven and allow to cool. (When you shake the tin, the filling will be a little wobbly but will set up on cooling). 5. Whisk the egg whites in a large bowl until frothy, then gradually whisk in the remaining caster sugar a little at a time, until it is all incorporated and the egg whites are glossy and stiff. 6. 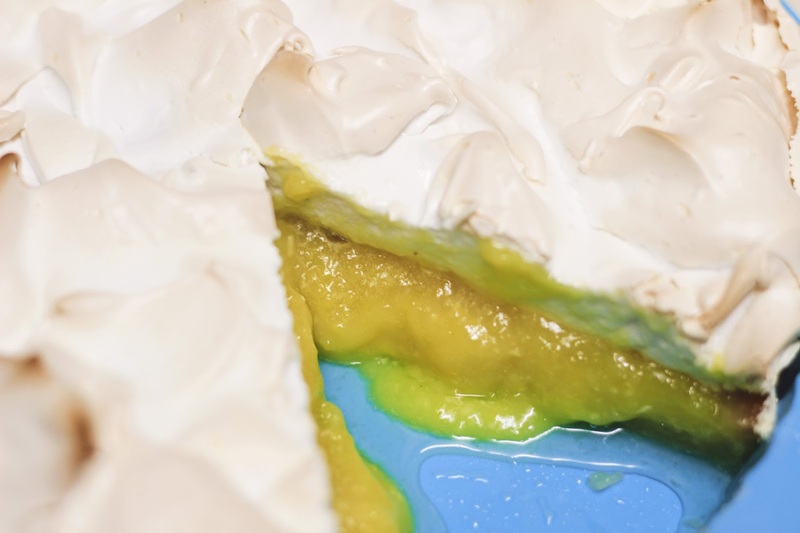 Place tablespoonfuls of the meringue on top of the lemon filling – starting at the outer edge and working inwards until all of the filling is covered. 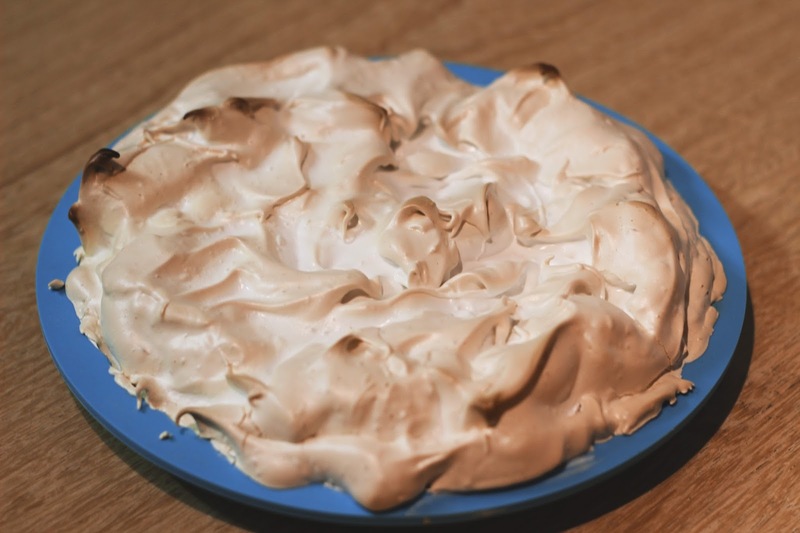 Bake in the oven for 10 minutes until the meringue is golden brown and crisp.